Let’s get strumming with basic ukulele strumming patterns! Most ukulele strumming patterns are made up of really simple elements. 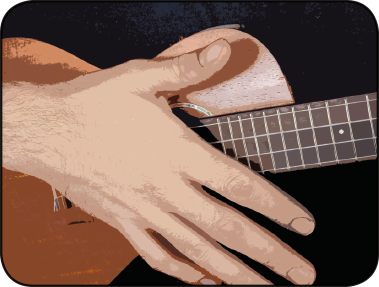 Until you get onto very complicated strumming styles, keeping the downward strums on these beats will help you keep in time and avoid that awkward situation where everyone else is strumming down when you’re strumming up! 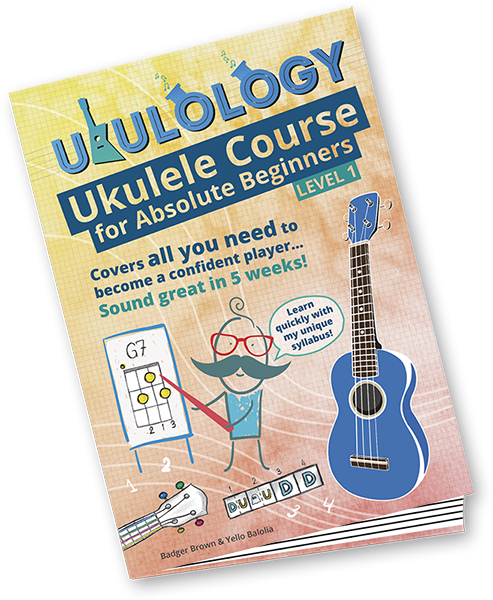 You can then start creating lots of basic ukulele strumming patterns just by choosing which beats you strum or miss the strings on! 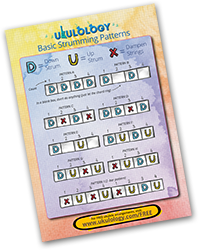 Try missing out some of the up and/or down strums to create new rhythms. If you miss out a down strum (or more than two strums on the trot), it’s sometimes a good idea to us the ‘ghost strum’. This is where you strum the air, to keep your hand moving in time with the rhythm. You can also dampen the strings, which stops them from ringing. Simply place your right hand flat on the strings. This can help to create a nice rhythmic effect, even when the basic ukulele strumming pattern is quite sparse. Here’s one of the basic strumming patterns from earlier, but with dampening instead of gaps. Keeping a steady ‘up down’ rhythm with your right hand will help you stay in time and not miss a beat, even if this means you’re sometimes ‘strumming air’! If you accidentally strum when you should miss, or miss when you should strum, just keep going, your steady up and down movement will help you stay on the beat. Think of it as improvising! Missing out down strums in a rhythm is much harder than missing out up strums. 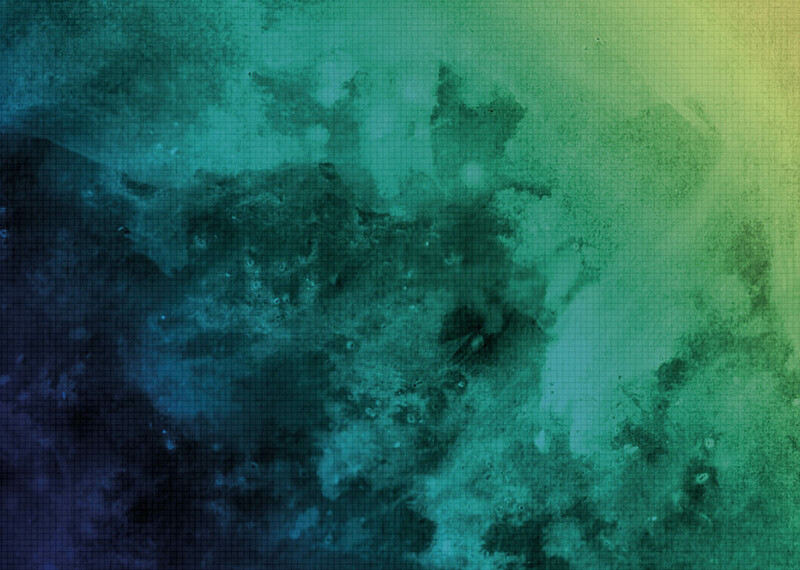 Tap your foot on the beat and start slowly and steadily with these rhythms. Even better, get a metronome to keep time for you! Simply fill in the form to receive the Basic Strumming Patterns PDF as well as chord charts, strumming patterns, songs, backing tracks and more! 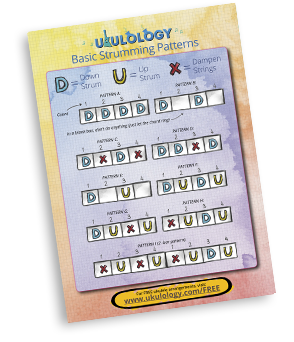 FREE Ukulele Strumming Patterns PDF!